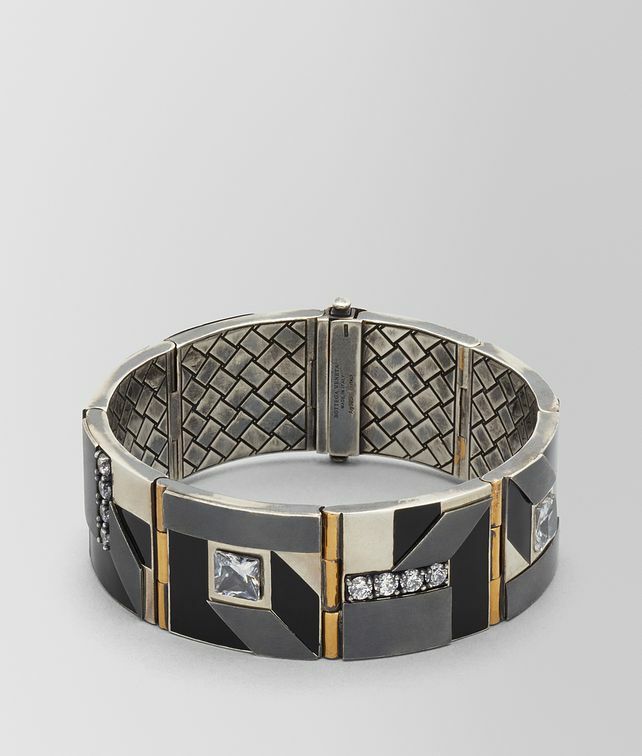 This distinctive cuff is part of the BV Inlay Deco collection, inspired by the iconic architecture of New York City and featured in the Fall/Winter 18 collection. Made with sterling silver, enamel and cubic zirconia, the cuff is made of eight square links joined by hinges that are brushed with a 24-karat gold patina. The back of each link is finely engraved with the intrecciato pattern. Push both lateral buttons to open and close. Width: 18 cm | 7"